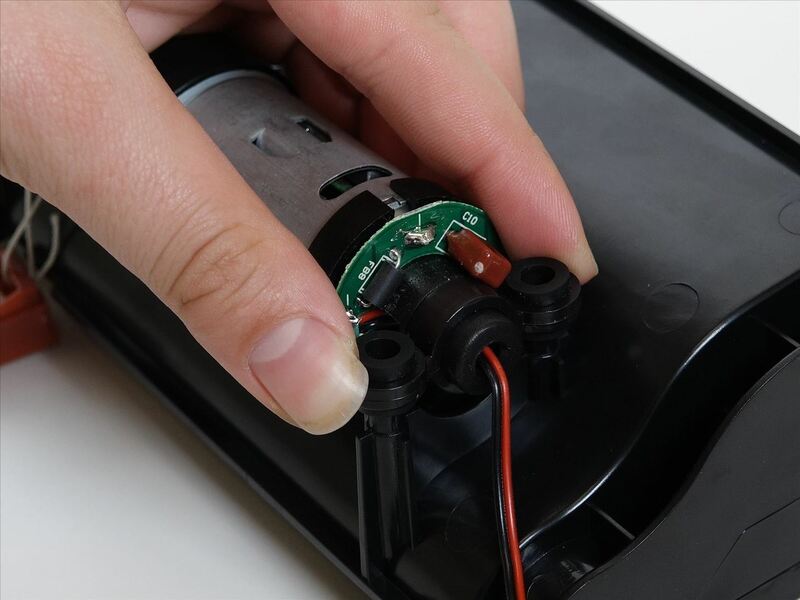 One of the quickest repairs for bObi is replacing the main brush motor. 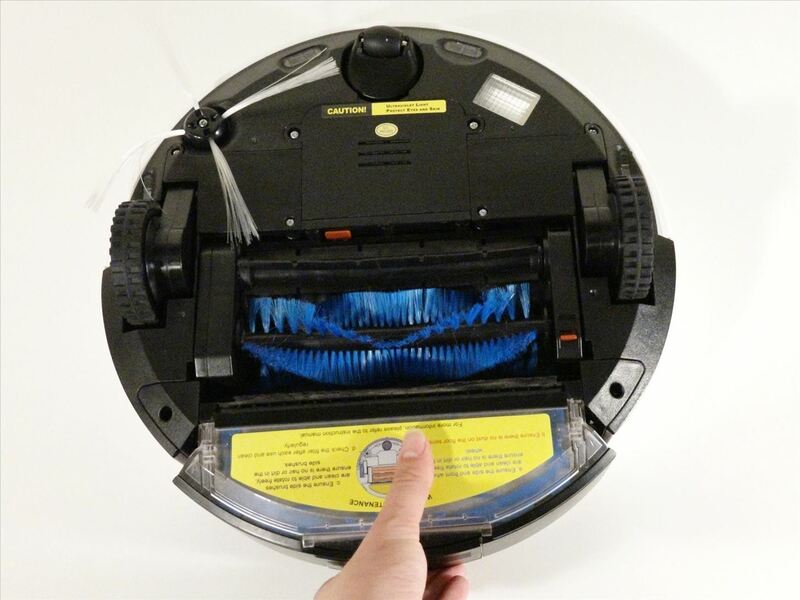 To do this, you'll need a Phillips head screwdriver and a replacement main brush motor. 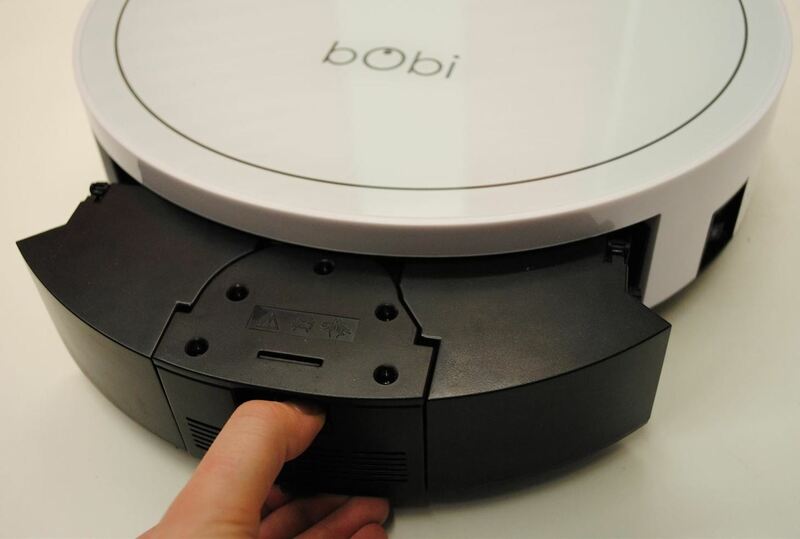 During all of bObi's repairs, always keep screws and parts aside and organized. Many of the screws are not interchangeable due to size differences. Remove bObi's dustbin. Press the small latch on the back and it will pop out. 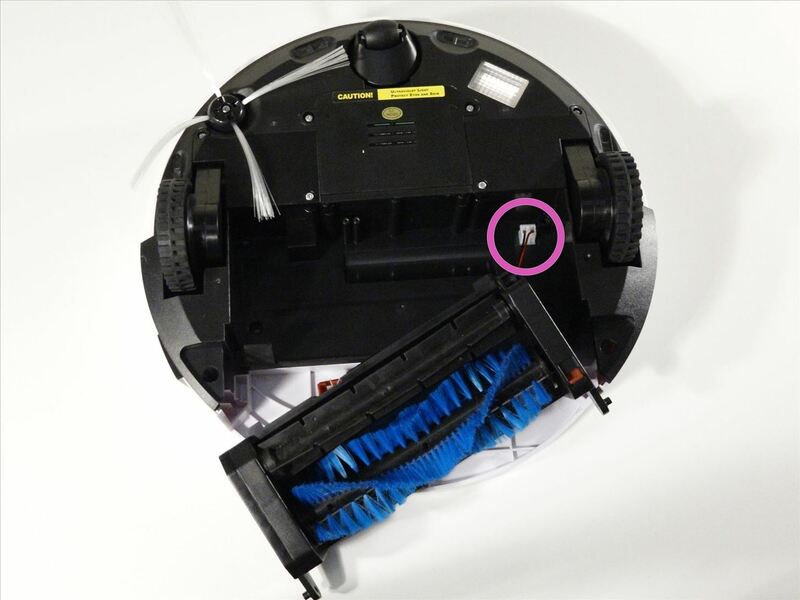 Flip bObi over and un-install the 2 screws close to bObi's dustbin (Highlighted Red). Then lift the corner pieces up and keep aside for re-assembly. 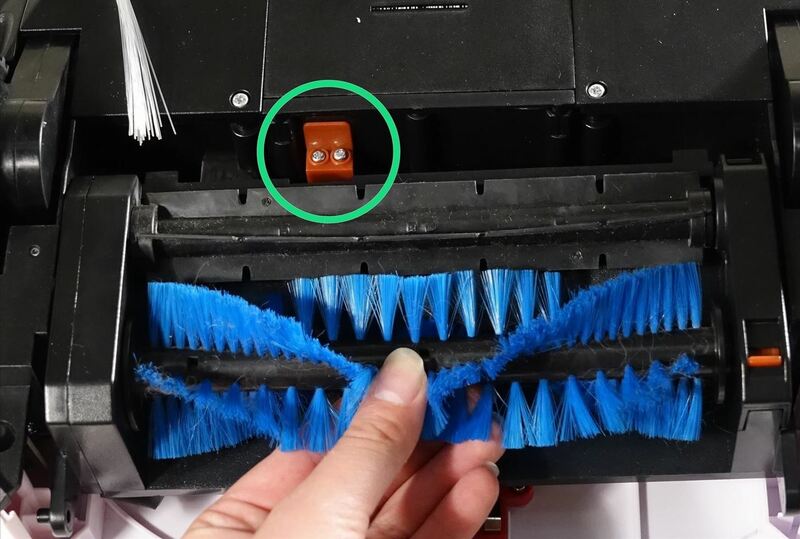 Pull down the brushes to reveal 2 smaller screws above the main brushes (Highlighted Green). Remove both. 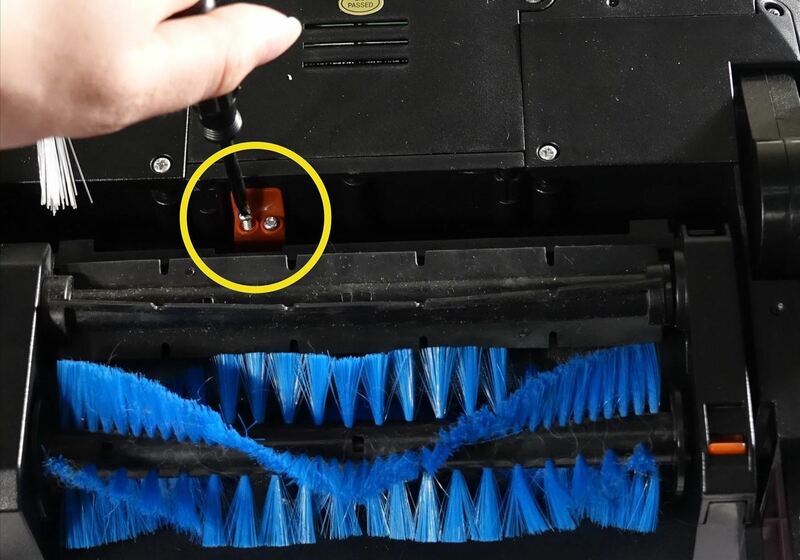 To detach the brushes completely, unplug them from bObi (Highlighted Yellow). 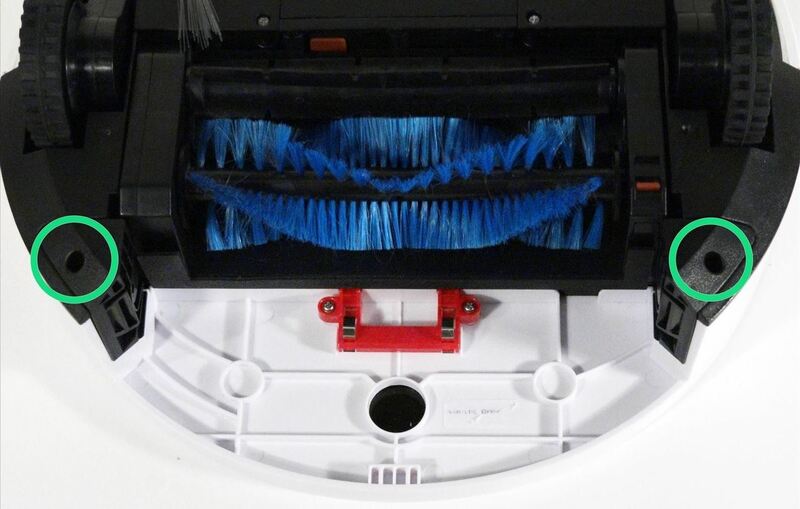 The motor is on the bottom of the main brush attachment. 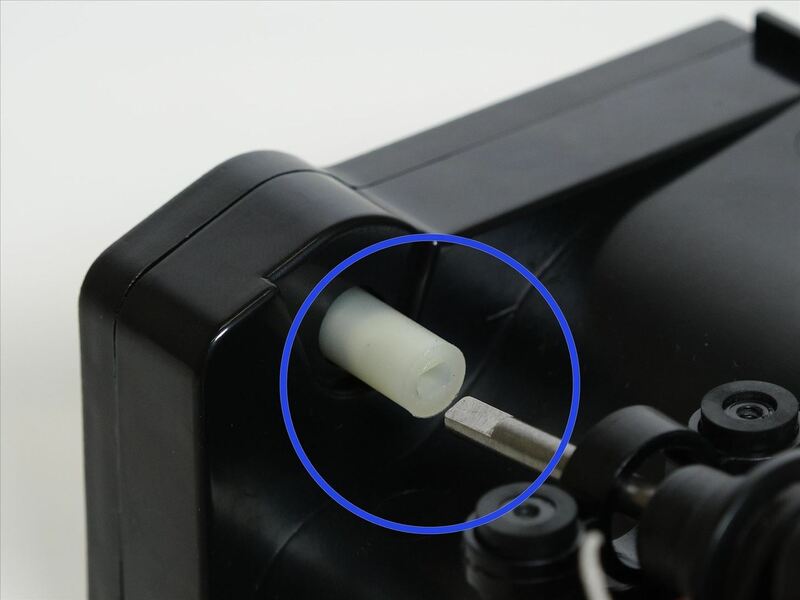 Remove the four screws which secure it (Highlighted Blue). 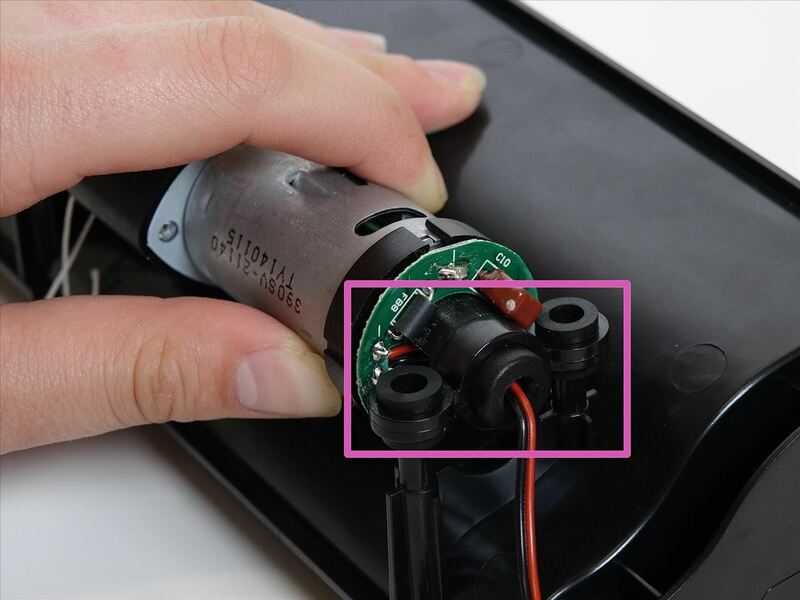 Remove the stabilizer attached to the motor's end, closer to its circuit plug (Highlighted Pink). Keep it in a safe place as you will need to place it on the new motor later. Then pull the whole piece out. 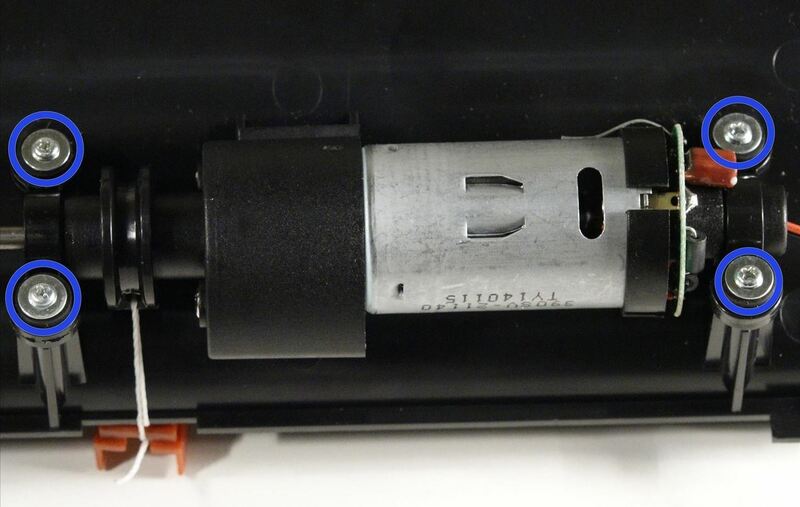 Slide the long metal end in first, through the second stabilizer, so the end fits inside the motor holder (Highlighted Blue). Place the stabilizer you removed previously on the new motor. 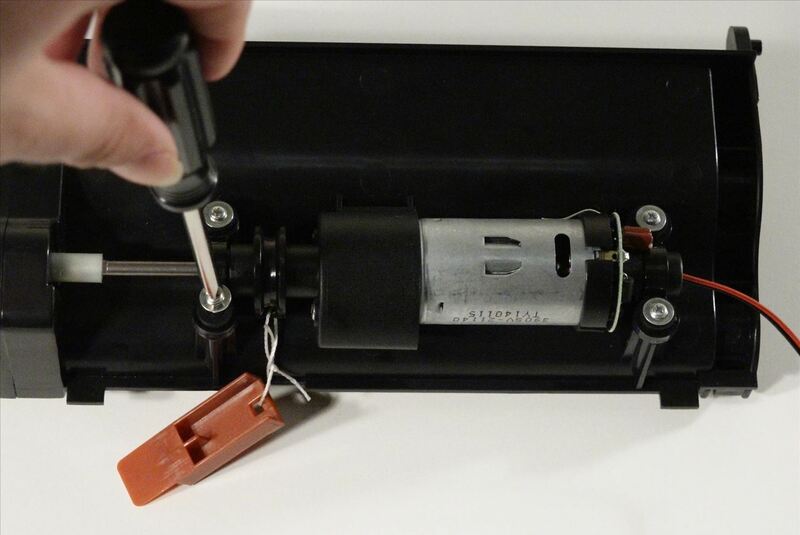 Align the stabilizer with the screw posts on the brush holder, then install all four screws. 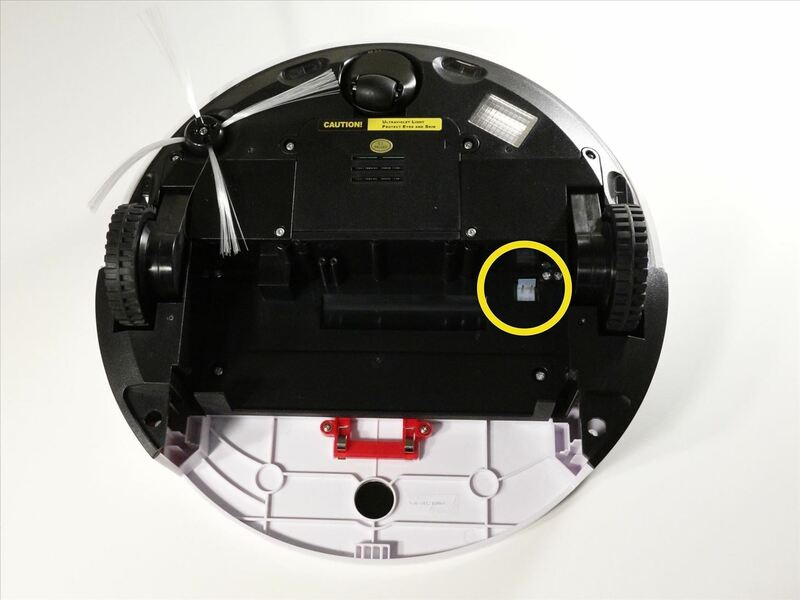 Connect the motor's circuit plug to bObi (Highlighted Pink). 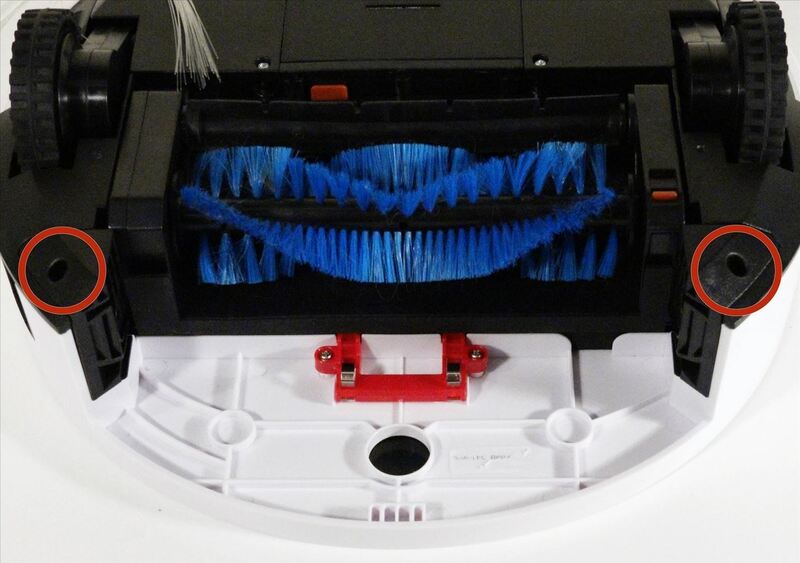 Place the main brush attachment in bObi so it sits flat. Line up the red fastener on bObi, and replace its two smaller screws (Highllighted Yellow). Lay the two corner screw holders down. Then install each screw. (Highlighted Green). Slide bObi's bin back in until it locks in place.